Hey there! Thanks for dropping by DexterKhaw's Blog! Take a look around and grab the RSS feed to stay updated. See you around! When you’re a baby you don’t know about the real world and just enjoy your life letting your parents to handle everything for you. When you enter primary school, that’s the beginning when your parents and teachers tell you to study hard for your future. When you are finally doing your degree you can’t wait to graduate and attend your convocation with your family members. Hoping that this will be a great start to a new chapter in your path of life. On average we receive formal education for 15 years and then we start to work. When we finally reach the age of 30 we will ask ourself how are we going to spend the next 30 years of life. 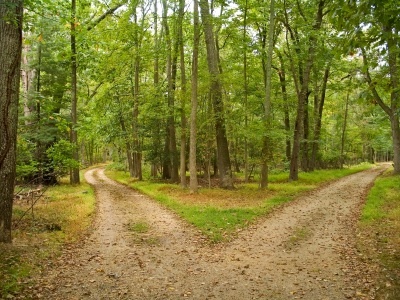 The path we take and the decision we make will determine where will we head to in the future. There will always be the path which is not taken in life and we won’t know what would happen if we turn back and follow that path. Life is about experiencing what is ahead of us to ensure that we will never regret living in this world. The past is the experience needed to continue to move forward in life thus we should never regret about the past as it helped us to be where we are.